The Fury 282’s 2.7m beam has been a stumbling block for some prospective owners. These are the people who tow their boats to far flung locations, and for whom a boat too beamy to tow after dark is a no-no. For them, the good news is that the rules have changed and a 2.7m beam can now be towed day or night. The occasional boat near the Fury’s 8.58m length has had its beam held to 2.5m to avoid any penalty under the road rules, and it was seldom a good idea. The Fury’s extra 200mm adds greatly to the stability - a key property of the offshore fishing boat that is on most serious anglers’ wish list. 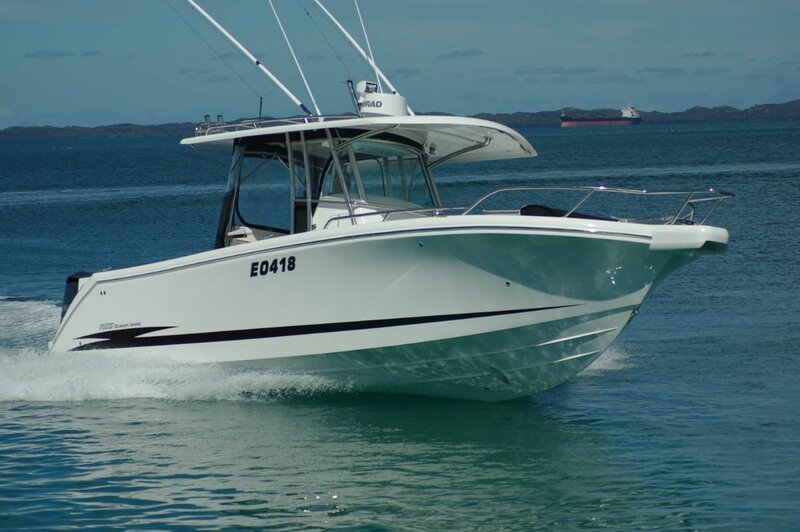 This is a developed version of 2012’s Boat of the Year, with refinements and features added that make it even more desirable. One of them, the bow thruster, came into play at the start of the test, taking us sideways off the jetty into a fresh cross breeze. At the other end of the day it was just as useful in lining the bow up to drive onto the trailer. There is no off the peg description that completely describes the 282’s style. 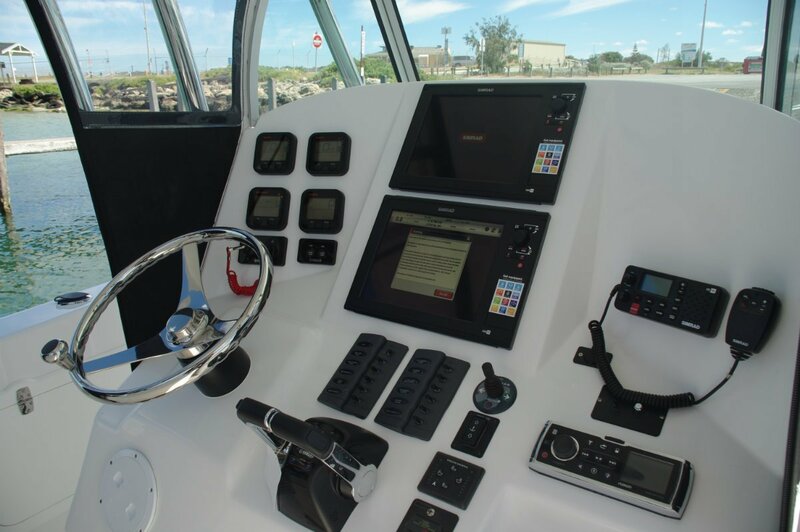 It has elements of centre console, walk around and open wheelhouse. Builder Scott Fury just calls it a hybrid. 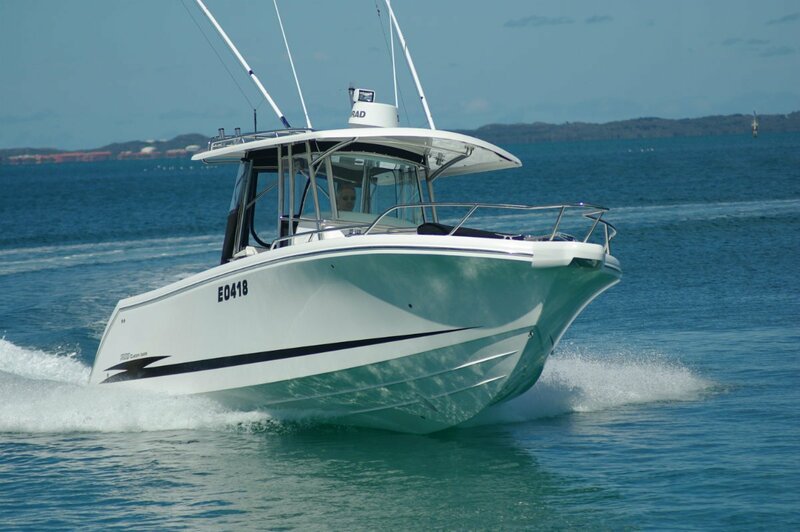 Certainly it provides a lot more accommodation than any walk around, all the fishing space of a centre console, and as much or as little fresh air at the helm as a driver wants. The accommodation is good enough to use the Fury as a caravan on the way north and to live aboard for several days at a time. 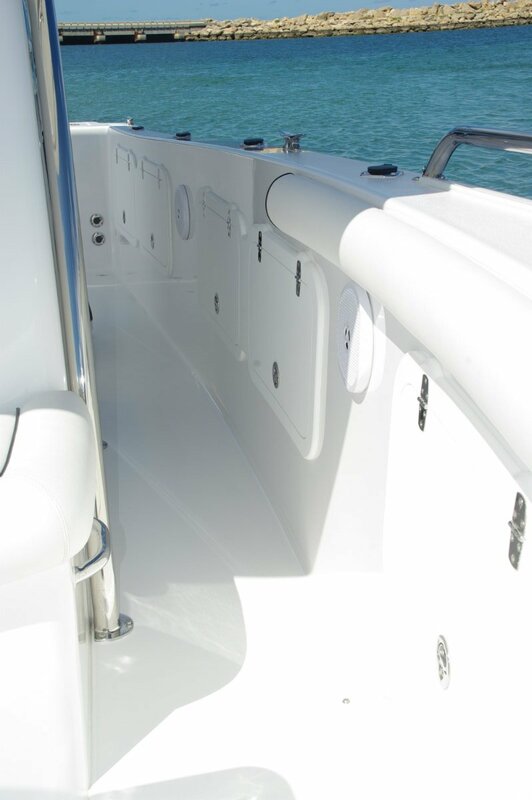 A door in the console’s side leads to a compartment containing a flushing toilet, and access to the double bed under the fore deck. Two more can sleep on a convertible bed under a quickly erected awning on the fore deck. The transom shower is coupled to a hot water system, a fridge lives below the helmsman’s seat, and the transom houses a sink and a barbecue; all the comforts. And the boat’s electrical system copes with everything automatically, the triple battery set-up organising its own charging from both motors. 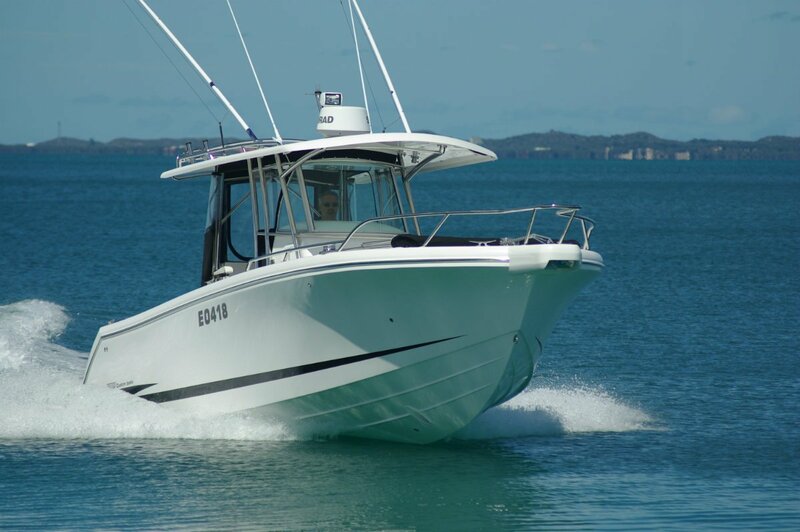 The review boat’s motors were a pair of 225hp Yamaha four-strokes – good for 47 knots – with the Fury’s naturally pleasant handling enhanced by the aftermarket power steering the builder had installed. An interesting new option is diesel power for those who are happy with less speed and a lot more range. 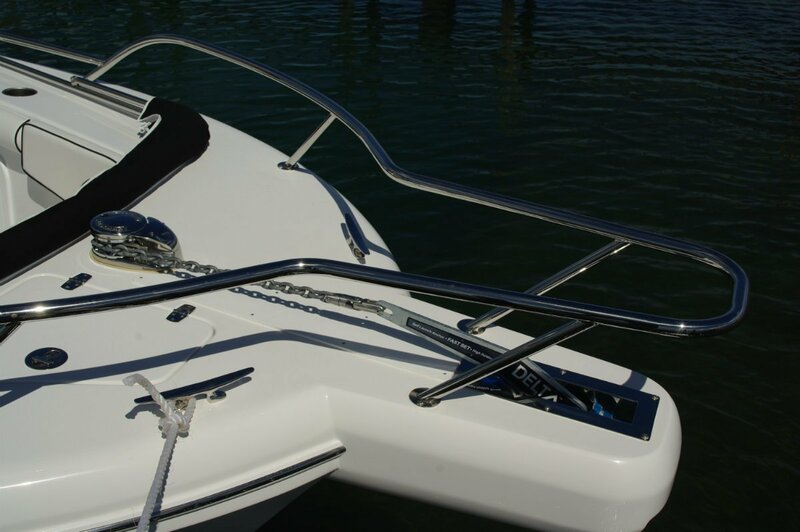 A 220hp D3 Volvo – which should give 36 knots – slots in neatly without taking up any deck space. A welcome feature of the option is it costs about $10,000 less than the twin Yamahas. This is primarily a fishing boat, and it has all the gear. 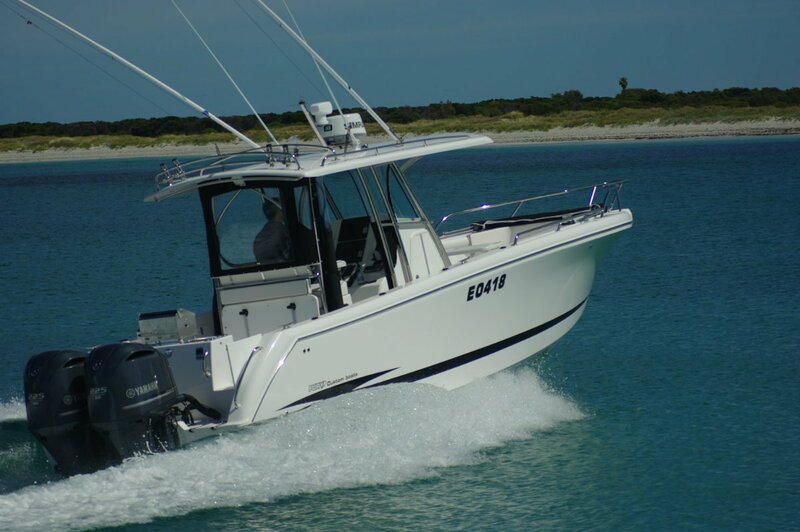 Twin 120L catch tanks, trolling outriggers, tackle drawers, rod holders, pot winch, and electronics to die for. The 3D imagery sounder, with a heading sensor, can overlay the plotter, the radar, or both on a choice of two screens. Storage volume is huge thanks to the addition of a dozen lockers within the thickness of the bulwarks. 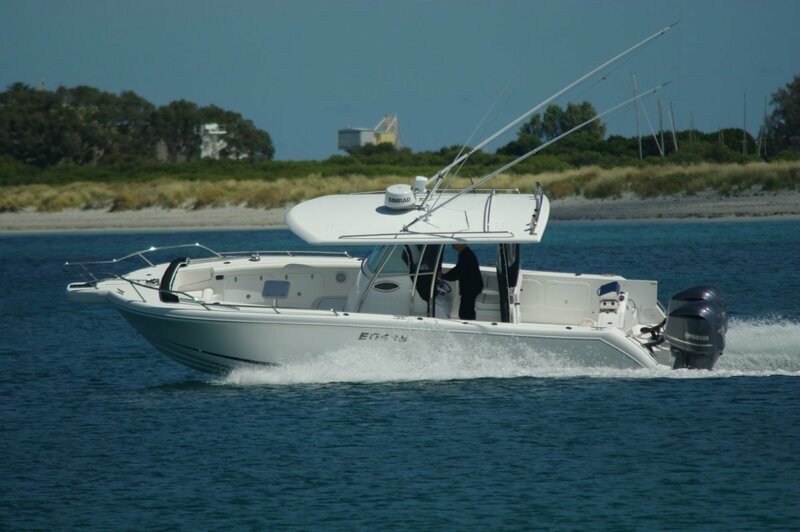 Fishing is number one but this is also a highly competent day cruiser. 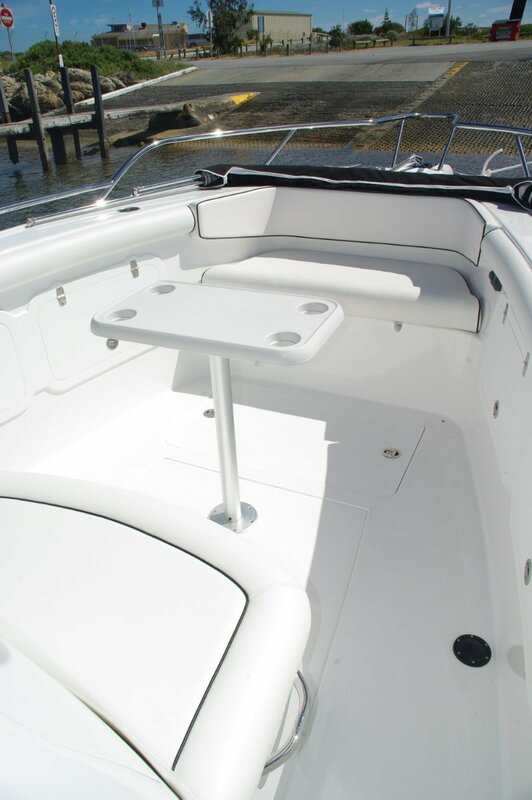 The fridge and ice tanks are a good starting point, the large area hardtop makes its contribution, and the seating available is surprising considering how little it reduces fishing room. 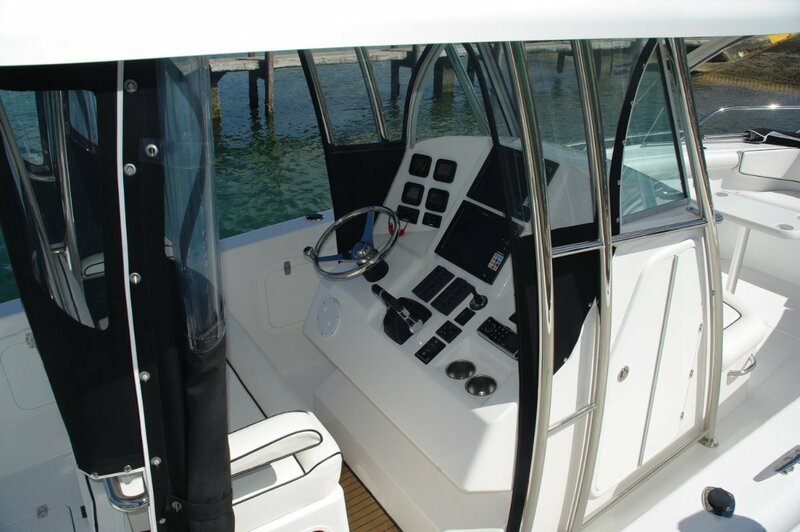 Besides the double at the helm, three can sit on the fold down transom lounge and five on the bow and console-front seats. A table drops into a socket between the latter to make a cosy conversation area. A died in the wool fisherman would have no trouble persuading himself that he is buying a boat for all the family.